Weather to go, whether to stay? 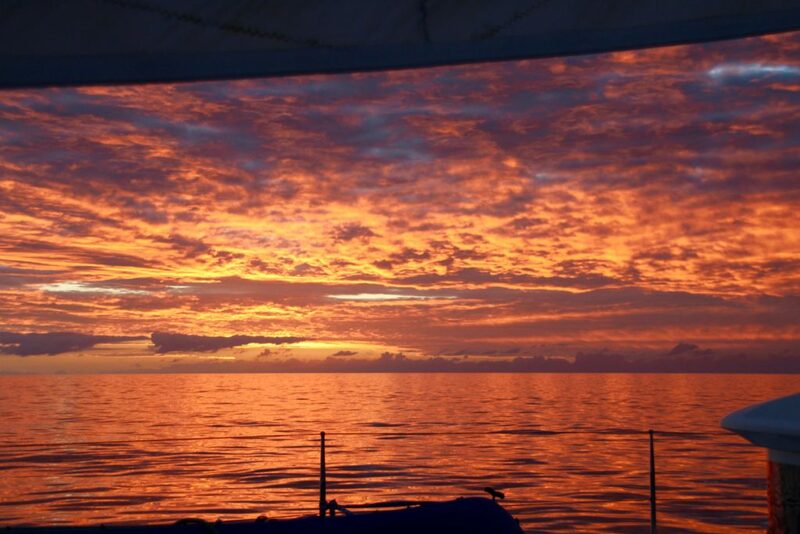 So far sailing the coast of Australia has been exhilarating, enlivening, extraordinary, and at time exhausting. Roo Bin Esque has given us a mostly comfortable ride in style, if not at any great speed. We’ve met many amazing people and visited beautiful and remote islands, but now it’s time to step outside our comfort zone. The siren call of New Caledonia is too strong to ignore. Some time very soon we’ll hoist sails and head out of Moreton Bay in an easterly direction. The crossing will take at least six days, possibly more. Roo Bin Esque is as ready as she can be, and so are her crew. We’ve mastered our Iridium Go Sat phone, worked our way through the Predictwind weather forecast programme and ensured we have checked all our safety gear – the new life raft will hopefully never be required! It’s always sad to leave a place I love and Brisbane will forever have a special corner reserved in my heart, but it’s time to throw off the bowline and dare to explore new horizons. Carpe Diem, I say. We may only have one life so live it! Blog Adventure, Australian Author, Brisbane, Helene Young, Iridium Go, Lagoon 400, New Caledonia, Predictwind, Roobinesque, sailing. permalink. Thanks, Sue, we’re loitering still as the weather forecast changed overnight… soon! I quite agree with Brenda and the Helene withdrawals. Fair winds and calm seas. Have a wonderful adventure. Thanks, Carolyn, just waiting on edits to come through! Wow Helene, what an adventure! Not that you haven’t been having one 😉 Safe sailing and have a wonderful trip. And just quietly – do you have any more books to come out any time soon? I’ve been having Helene withdrawals for quite some time!